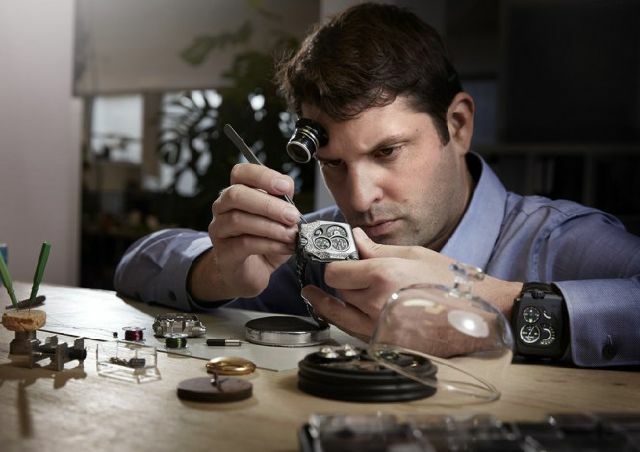 The URWERK EMC Pistol, its birth attended by top craftsmen. Geneva Seal Fine Jewelry & Timepieces in Chicago welcomes The EMC watch, constructed by the URWERK company, is a milestone in luxury watchmaking as the first and only mechanical watch in which the rate can be checked electronically at any time simply by pressing a button. For this last version of the EMC — the Pistol — URWERK has brought together the leading craftsmen and the most skilled hands to do justice to these five unique watches. 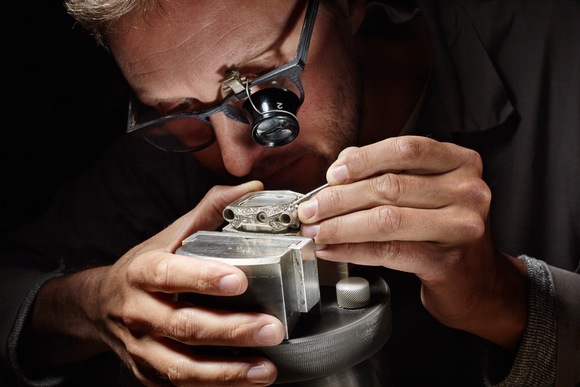 Florian Güllert was responsible for the engraving, Joséphine and Sylviane took care of the leather work for the strap while URWERK’s artistic director, Martin Frei, and master-watchmaker, Felix Baumgartner, have unstintingly given of their best to create this watch. The EMC Pistol is the fruit of this exceptional alliance. The first thing you notice when you meet Florian Güllert are his hands — large, thin and well manicured hands. Florian Güllert specialises in engraving firearms. 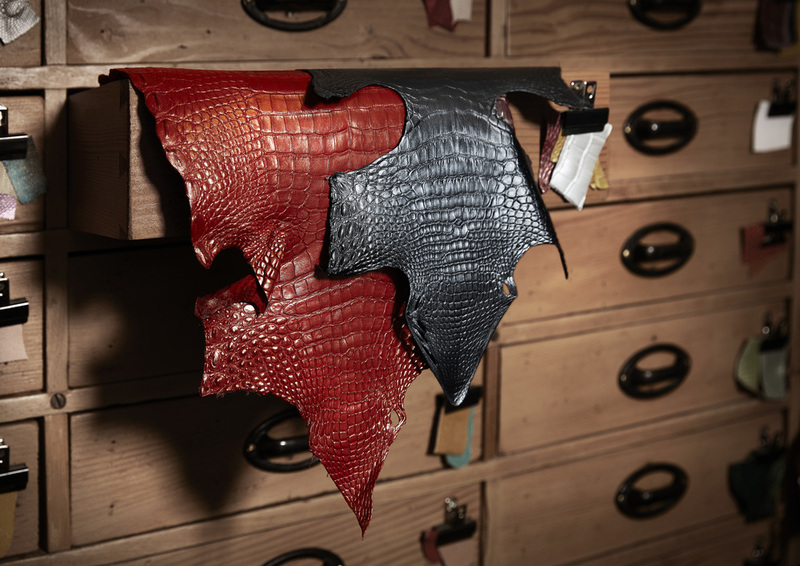 He is a painstaking worker who loves his craft, proving that enthusiasm can coexist with meticulous care. Case Material: Titanium and steel Dimensions: Width 43mm; length: 51mm; depth: 15.8mm Glass: Sapphire crystal Water resistance: Pressure tested to 30m / 3ATM Decoration: Engraving by Florian Güllert Strap: Nile crocodile Movement Calibre: Calibre UR-EMC; movement made by URWERK Escapement: Swiss lever Balance: ARCAP P40; linear balance with an optical sensor Frequency: 28,800v/h - 4Hz Balance spring: Flat Energy supply: Two barrels in series Power reserve: 80 hours Winding: Manually wound Finish: Geneva stripes; snailing; shot-blasting; brushing; chamfered screw heads Artificial intelligence Generator: Hand-cranked Maxon® generator Monitoring device: Optical sensor linked to the balance Oscillateur à 16'000'000hz Circuit électronique Indications Hours; minutes; seconds; rate indicator; power reserve; adjustment screw.